LASIK Qualification: Does My Vision Need to be Really Bad? 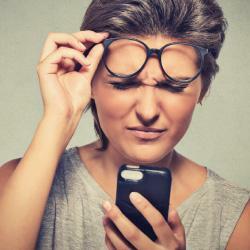 Home > Blog > LASIK QUALIFICATION: Does My Vision Need to be Really Bad? Although LASIK vision correction surgery works for most individuals who wear glasses or contact lenses, many still believe that it’s not appropriate for them. Often, this is based on several misconceptions people have about the procedure. Having bad vision that is not bad enough for LASIK is one of these. The simple response to this is, LASIK candidacy cannot be verified on your visual acuity measurements alone. Visual acuity scores such as 20/100 describe sharpness of vision, and is measured at a certain distance based on a fixed standard. Normal visual acuity is 20/20. It means you can clearly and accurately see at 20 feet what is reality at 20 feet away. Having 20/100 vision means you should be within 20 feet to see what a person with normal vision can see 100 feet away. To determine if your poor eyesight is suitable for LASIK, your laser vision correction doctor will figure out if your refractive error is within the range that can be treated. What’s a Refractive Error Within the Treatable Range? Before we delve into refractive errors that can be corrected by LASIK vision revision, let’s take a quick look on how normal vision works. For 20/20 vision to be possible, the cornea and the lens must refract (bend) light rays direct to the very back of the eye, or specifically the retina. The retina is a layer of light-sensing photoreceptor cells – rods and cones – that convert light rays into electrochemical impulses that are sent to the brain for interpretation. Refractive errors occur when you have an imperfectly-shaped cornea or lens. As a result, light rays do not all refract on the retina. Sometimes, as in the case of aging men and women, it’s the lens that can’t change shape enough to be able to focus on nearby objects (presbyopia). A refractive error is measured in diopters — a unit used to denote the strength of your lens. The amount of nearsightedness with or without astigmatism in your eye did not change by more than 0.5 diopters during the year before your pre-operation examination. If your prescription is for vision measured as high as to -20.0 diopters of nearsightedness, implantable contact lenses are recommended instead over LASIK. Thickness of cornea. Performing laser vision correction on a cornea that is too thin or has extremely irregular and misshapen surface (keratoconus) could compromise outcomes and possibly result in vision deterioration. Pupil size. LASIK done on pupils that are unusually large could increase your risk of side effects such as glares and halos. Stability of prescription. Your prescription should be stable for at least 12 months before the procedure. For this reason, teens and younger folks are not good LASIK candidates until their eyes have “settled down” into a stable prescription. Overall eye health. You don’t suffer from dry eye syndrome, cataract, or glaucoma. Pregnancy or lactation. Medications used during and after LASIK may pose a risk to your child while you’re pregnant or nursing. Hormonal shifts during pregnancy can also trigger dry eye symptoms. Although there may be factors that may keep a patient from being a good candidate for LASIK immediately, the good news is that patients who were not deemed good candidates years ago can now enjoy clearer vision as new techniques are refined and introduced. Find out if your prescription and overall eye health make you a good laser vision surgery candidate by scheduling a consultation with one of our LASIK specialists. A thorough in-person assessment and evaluation is the best way to gauge whether or not LASIK is for you.